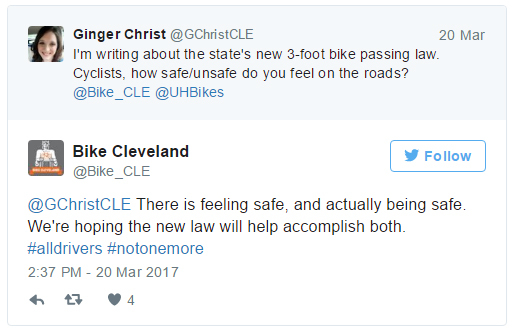 Two sentences. 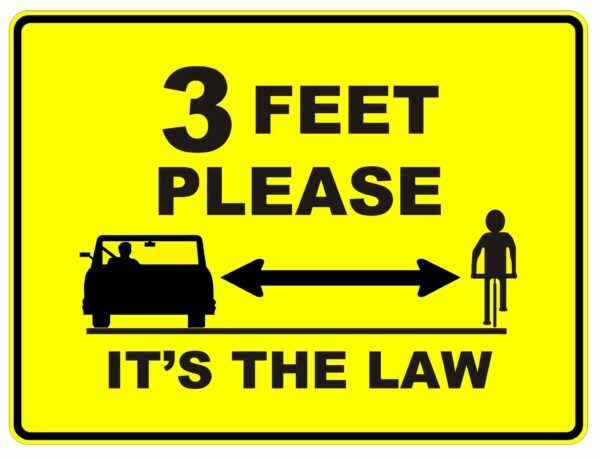 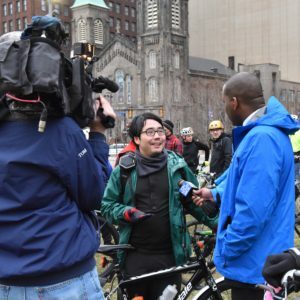 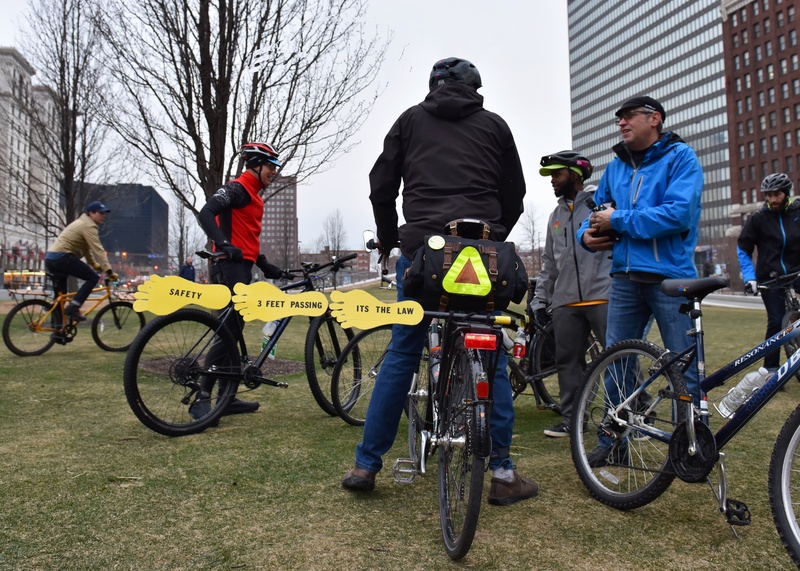 It has taken years of hard work, and collaboration statewide to bring those sentences from dream to reality as Ohio’s 3 Foot Passing Law for Bicycles. 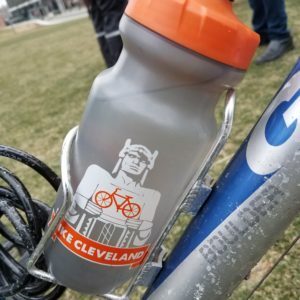 The last 2 days have seen the Bike Cleveland headquarters abuzz with activity. 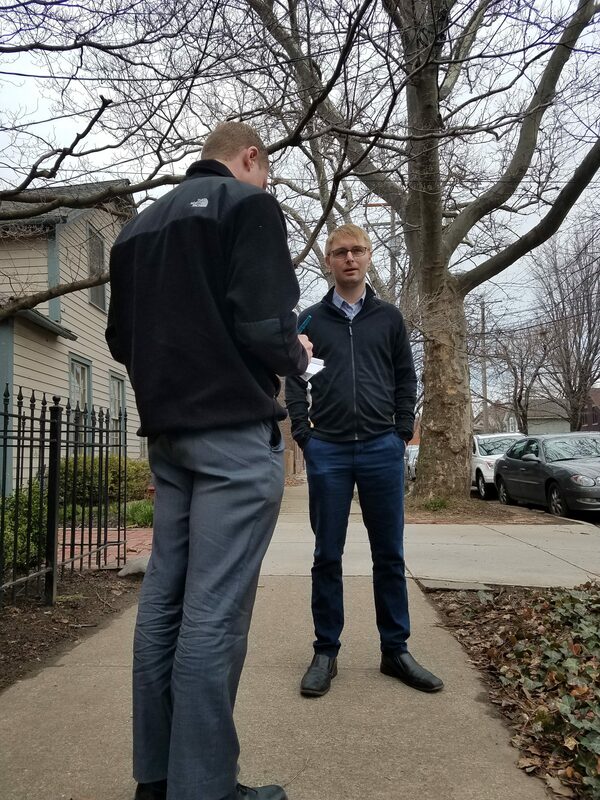 In-person interviews with multiple news organizations, phone interviews, quote requests, and email inquiries piled up. 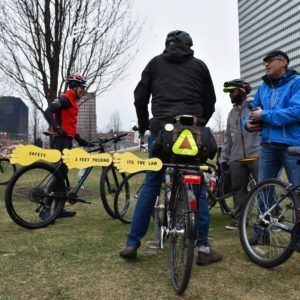 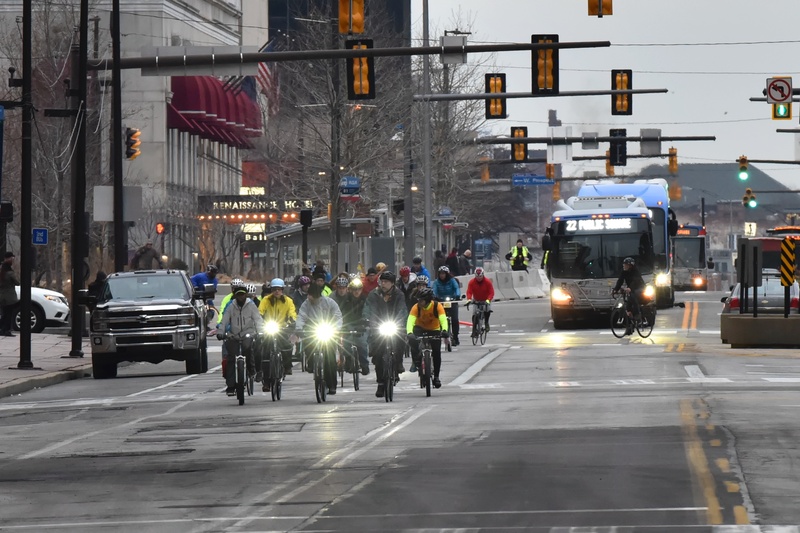 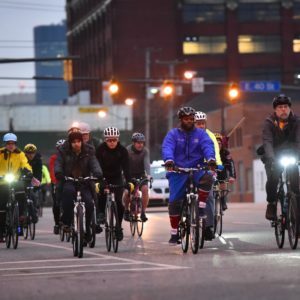 We were happy to indulge as many of the requests as we could, because raising the awareness of such a safety stride for Ohio cyclists is the next step in accomplishing our mission. 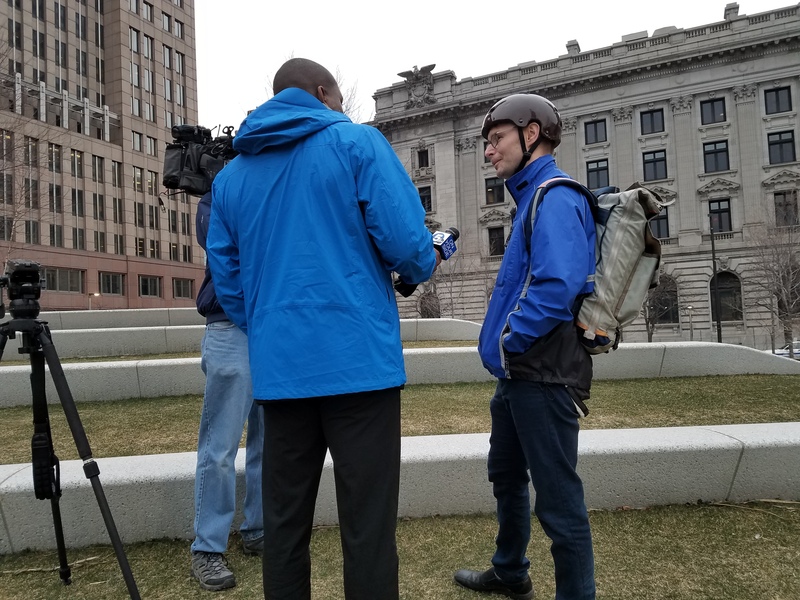 Our first interview began midday with Fox8 News. 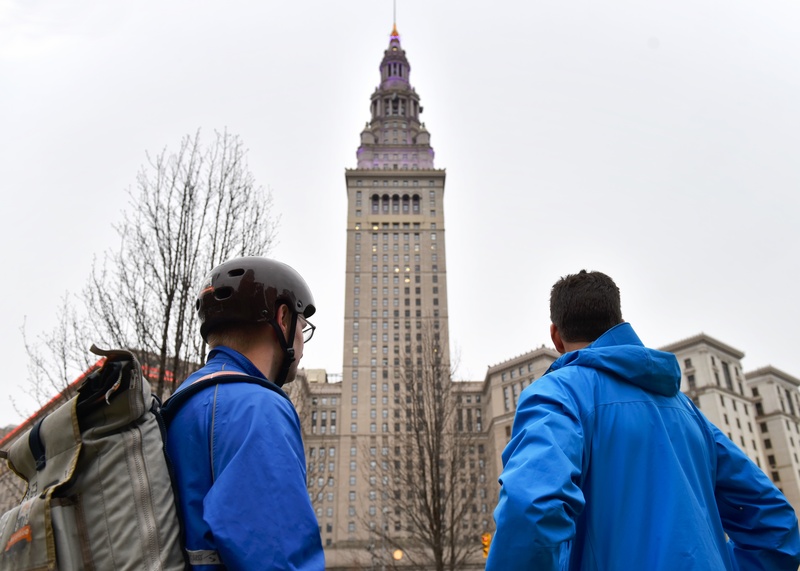 We had all 3 staffers on hand to discuss the law, the C3FT device, and to capture riding footage while the weather was clear here in Cleveland. 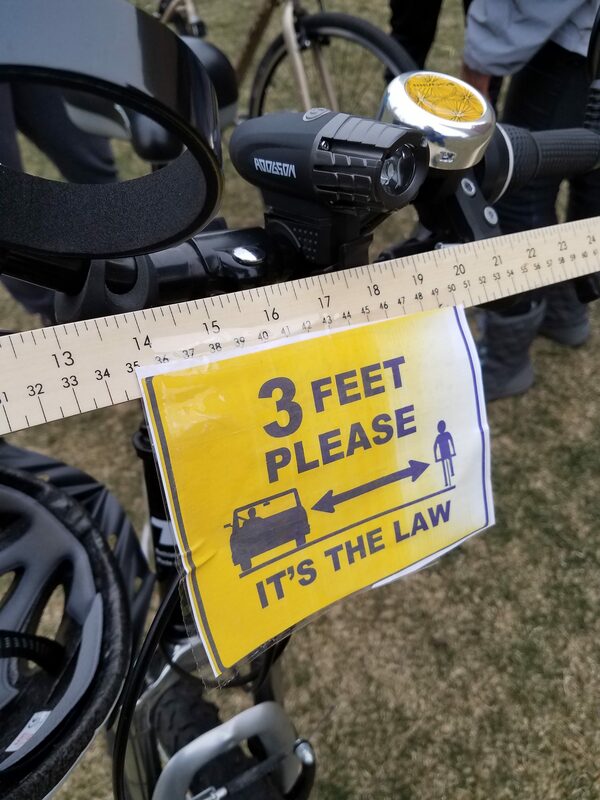 “For us, it’s really about ensuring the safety of bicyclists on the roadway but also defining what a safe passing distance is for the general public, at least three feet,” Van Sickle said. ”A big piece of the law is public awareness and communicating to people.” View the Video. 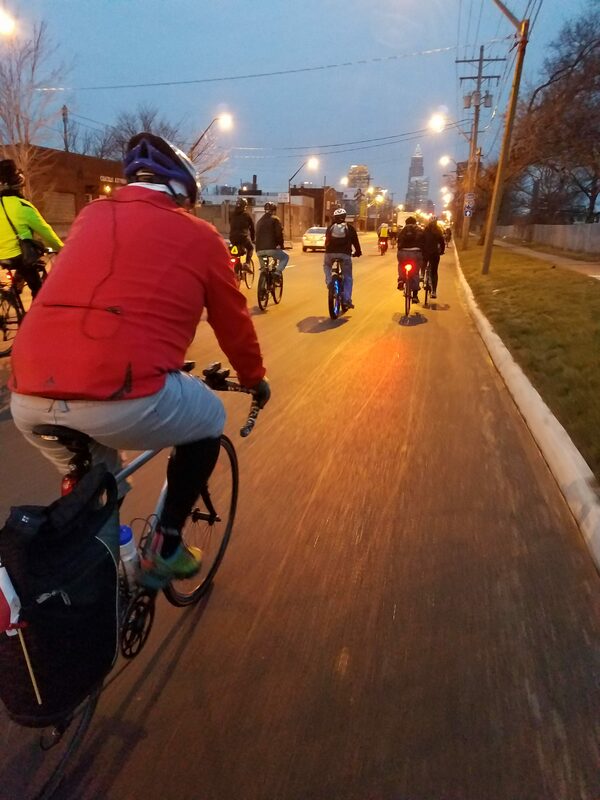 As the word spread about the law, and about the celebration and ride we had planned that evening, more inquiries came in. 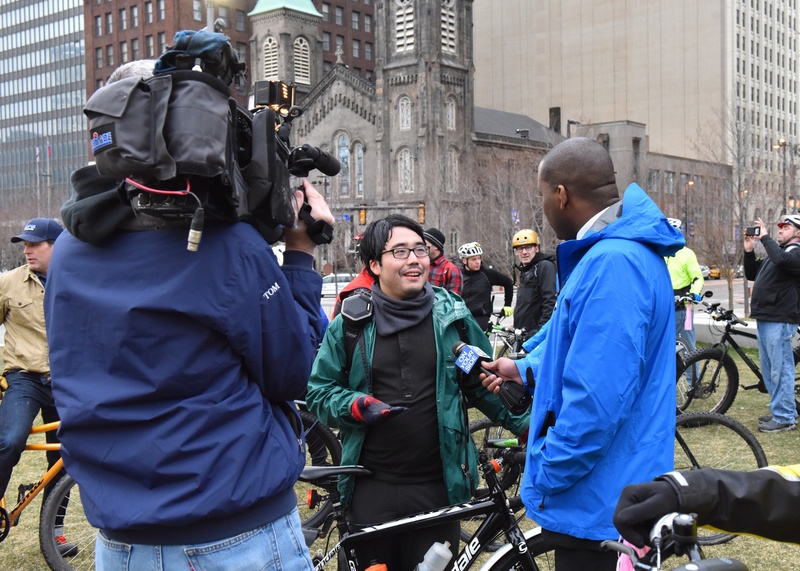 Channel 19 arrived shortly thereafter for an interview, and they also came to Public Square that evening for a follow up – and to get video of the Slow Roll ride that left from town center. 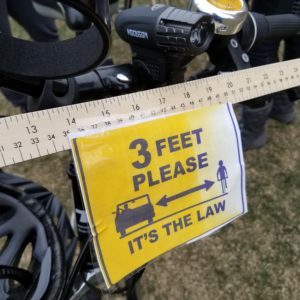 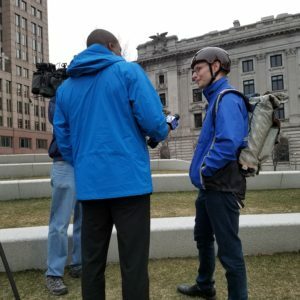 “The more laws we get passed that help make the streets safer for people on bikes, the more people will be out riding and the more motorists will understand that bikes actually have a legal right to the road,” VanSickle said. The Cleveland Plain Dealer also inquired about the new law, and shared the footage of the C3FT device we recorded in their coverage on cleveland.com. 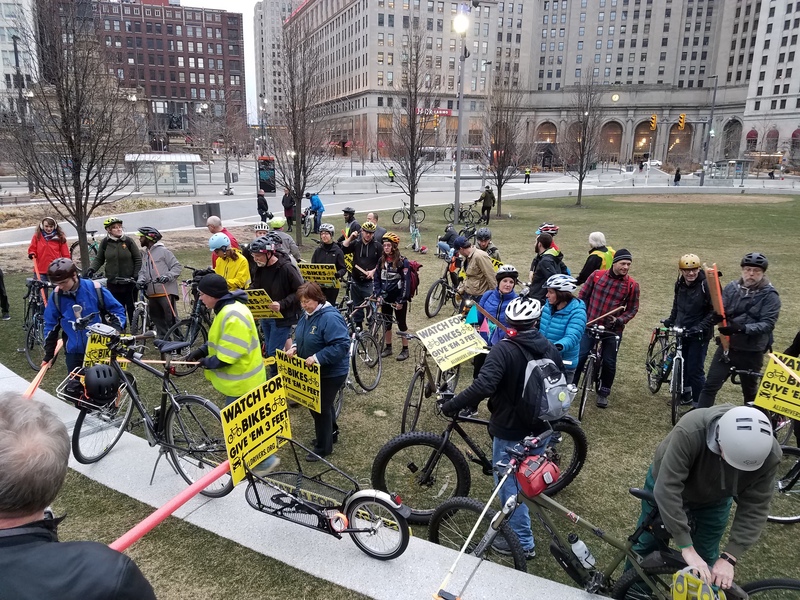 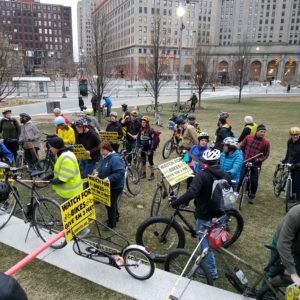 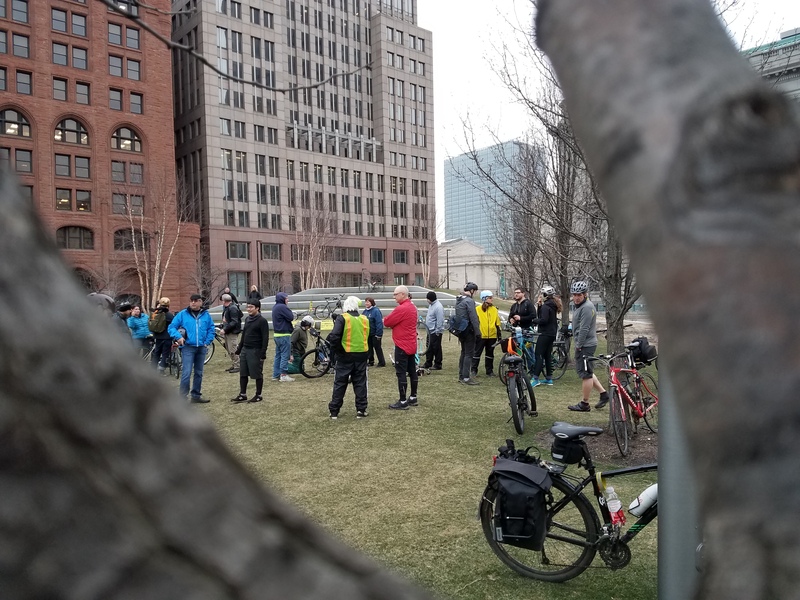 Monday finished up with a group gathering of about 50 riders on Public Square to celebrate the new law. 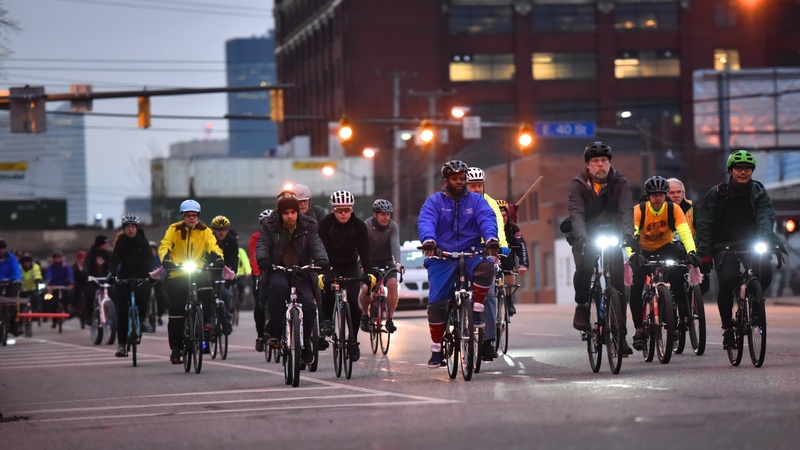 And there is no better way to celebrate than to go for a bike ride! 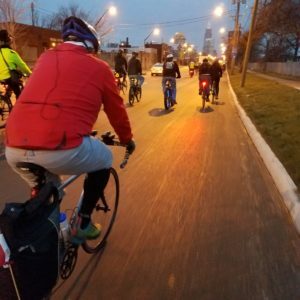 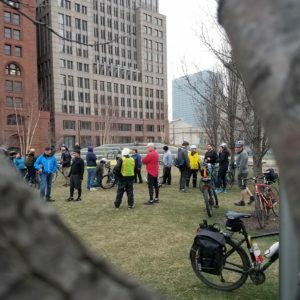 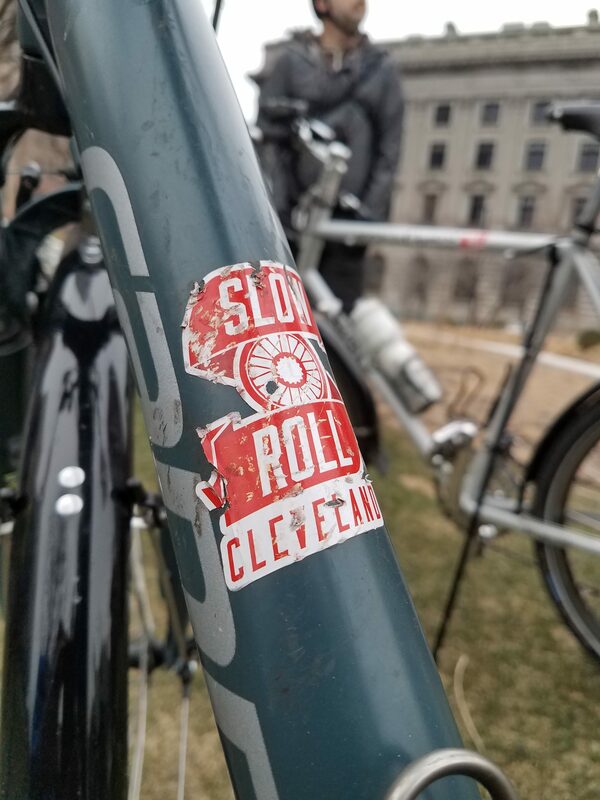 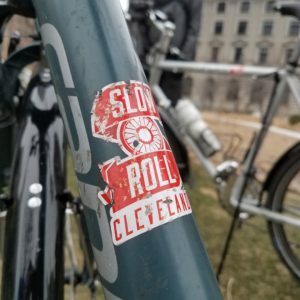 Special thanks to Slow Roll Cleveland for organizing the ride, and doing their best (as always) to keep the riders together and traveling as a cohesive group. 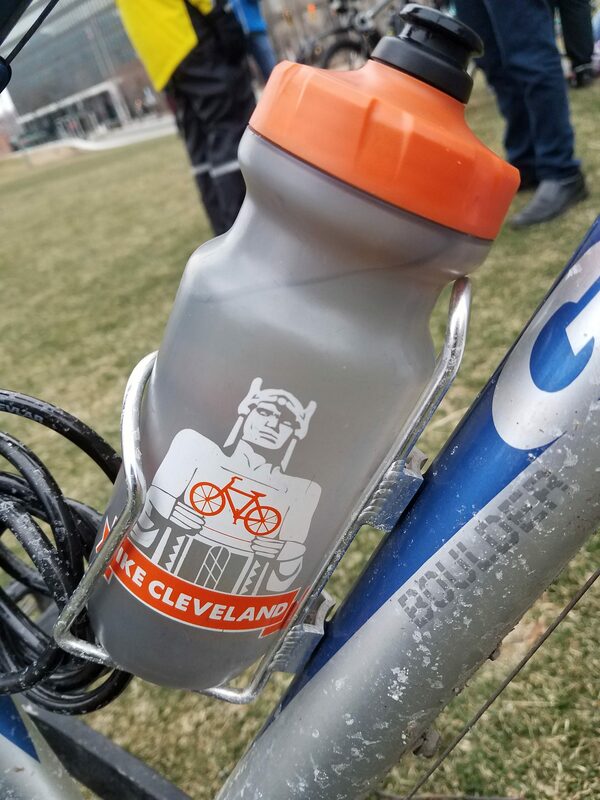 As always, we would also like to thank the Ohio Bicycle Federation. 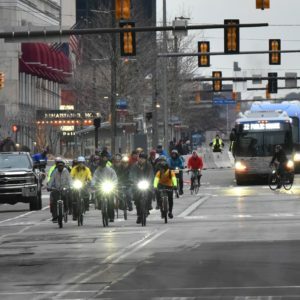 Bike Miami Valley in Dayton, & Yay Bikes! 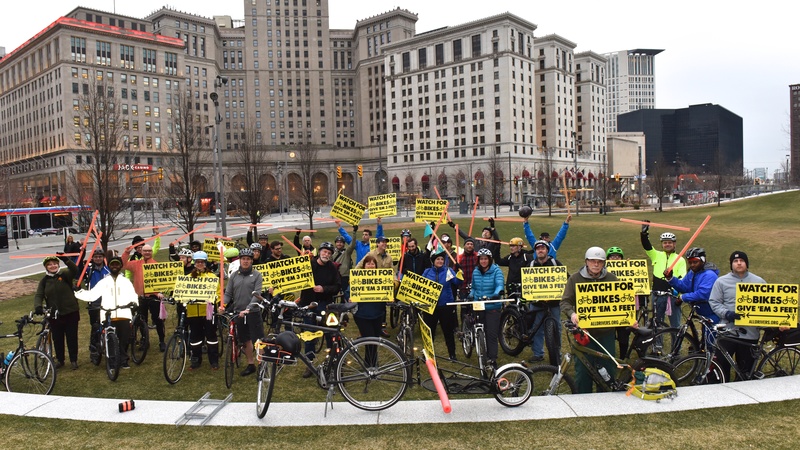 in Columbus, for helping bring about a collective victory for all people on bikes in Ohio.